I recently had the opportunity to try this mask, and I absolutely love it! Not only does it work, but it is so cost-effective and trendy! This professional grade mask will be pure profit with a total of $4.50 per treatment! 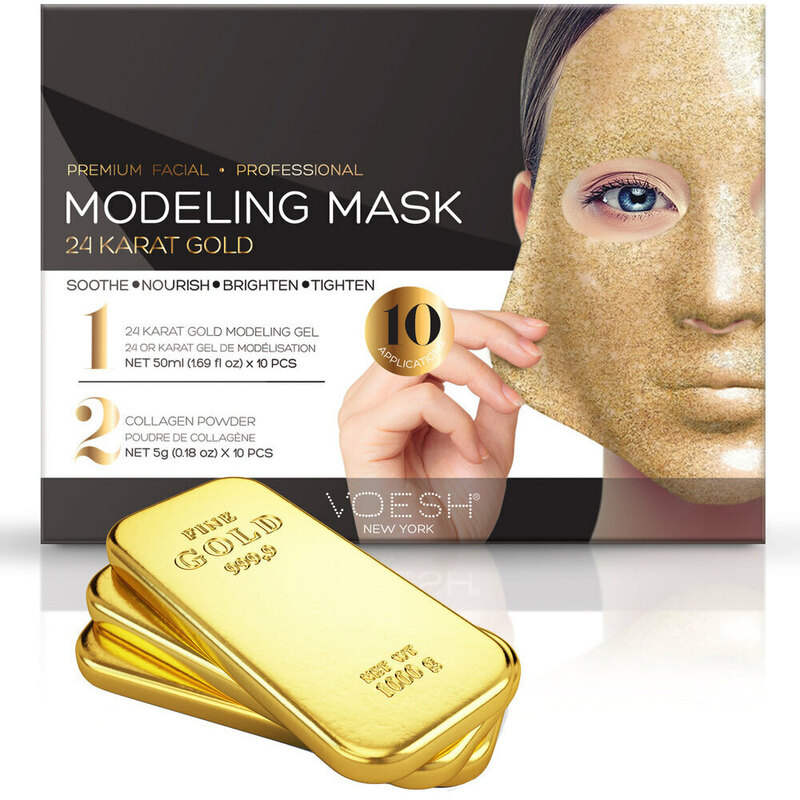 Voesh's Modeling Gel Mask is made with 24 Karat Gold, ginger and berry extracts to brighten and tighten skin. This premium professional facial service helps reveal your client's best skin instantly! Simply mix together, and voila! You are ready to apply! No water is needed. Transforms from a gel-like substance to a thick rubbery mask, that effectively seals moisture deep within! I know you don't want to face it, but back to school season is here, and the summer is coming to a close. Have you prepared your fall menu yet? For a simple, yet special, pedicure try the O2 Bubbly Spa in Caffe Macchiato! A heavenly coffee scent will leave your client's floating on air! At only $3.50 per service, you have every product you need! It is pure profit on each pedicure! Why is an oxygen pedicure amazing for your skin? Cleanse & unclog pores. 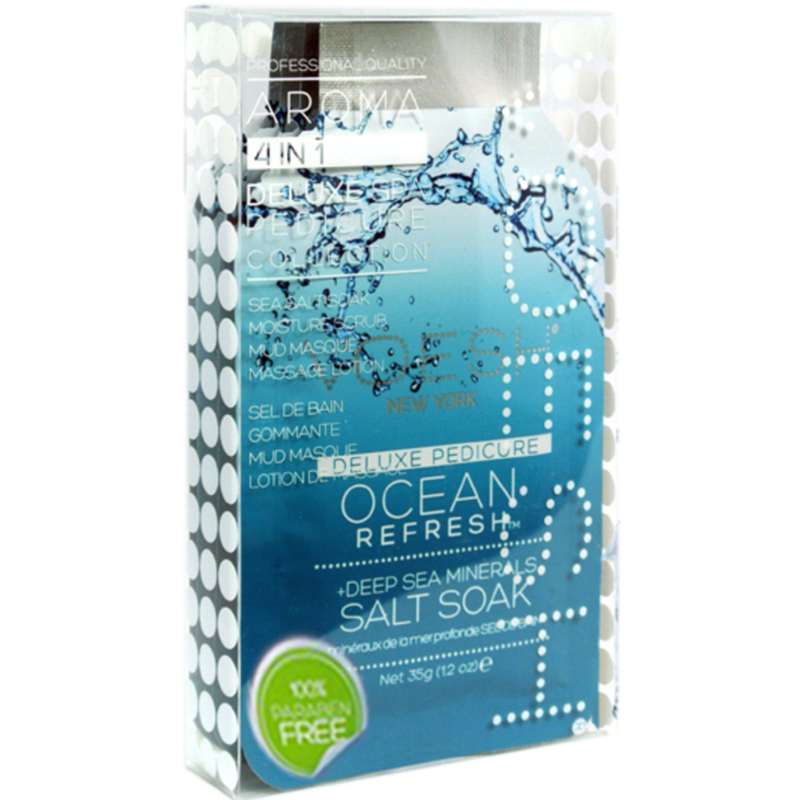 The micro-size bubbles work naturally to provide deep-cleansing and unclogging of the pores. They are known to deliver oxygen to the skin's barrier to a smoother and more supple look. Detoxing Bubbly Bath- Fizzy and bubbly with citric acid, creating more bubbles! Renewing Sugar Scrub- Removes the dead skin on foot and leg, then rinse completely and pat dry! Deep Cleansing Bubbly Mud- Apply bubbly mud, it is high refines mud with oxygen bubbles! Nourishing Massage Butter- Effortless gliding formula for a fabulous massage! Also available in a case pack for convenience. Do you have clients who suffer from dry, itchy scalp? This easy and cost effective scalp treatment will cool, exfoliate and hydrate to bring fast relief to your clients! In a rubber mixing bowl, mix 1 tablespoon of fine dead sea salt, 1 tablespoon of wheatgerm oil, 5 drops of peppermint essential oil and 4 drops of tea tree essential oils and mix well. Place the mixing bowl in a mud warmer or hot towel cabinet to keep warm until ready to use. 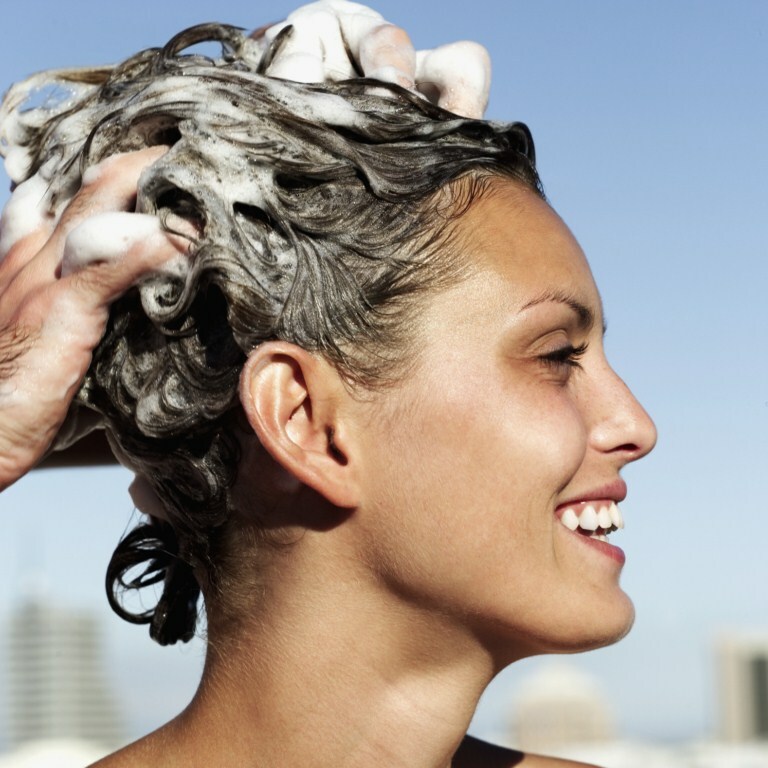 Shampoo your clients hair well and rinse with warmer water. After lightly towel drying, apply the treatment to the scalp and gently massage for about 10 minutes (now is the PERFECT time to offer an add on service of Eco-Fin or a VOESH product!). Remove the scalp treatment with a light shampoo and rinse. Easy and effective, the perfect combo! Get Ready to Step into Spring! Spring may not have sprung yet, but it's so close we can taste it. What better way to say goodbye to winter then a fresh pedicure, with the newest colors? I'm sure your pedicure business is about to explode! Be prepared with Voesh Deluxe Pedicure in a Box - a 4-Step Hygienic Spa Pedicure Kit - Ocean Refresh. Voesh is the cleanest, most efficient, and hygenic pedicure solution on the market! See What's New in the Voesh World! Voesh was a big seller last week and I might know why! 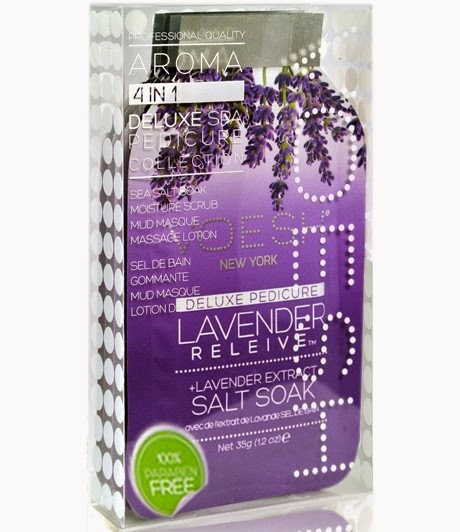 We got in 3 new products - Lavender, Jasmine, & Mango! Mango is definitely my new favorite (maybe only because I love the fruit). Why is Voesh so popular? Maybe it is the awesome packaging, or the great price, or maybe it is the results? I have no idea... I'm just a shipping guy! See our great Voesh of New York Product selection HERE! Voesh products were massively popular this week. 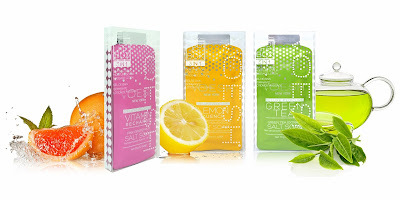 They are one of my personal favorite products as well - the packaging is clean and cool looking and they are easy for us to pack. And I hear the product inside is even better!... why? I have no idea... I'm just a shipping guy! See our great Voesh selection HERE! Voesh Has Done it Again! Seems like everyone is trying to get their "mitts" on these Voesh products. The most popular this week were the UV Protective Deep Moisturizing Collagen & Vitamin E Hand Mask Gloves. These are perfect for manicures or if you just want to look cool!... why? I have no idea... I'm just a shipping guy! See our great Voesh selection HERE! Voesh Pedicure and Manicure Products ARE HOT! What do Voesh and Charlie Sheen have in common? They're both "winning"! With so many types and scents it's no wonder it was flying out of the warehouse last week. The gloves are socks were especially popular... why? I have no idea... I'm just a shipping guy! See our great Voesh selection HERE! I can barely pronounce the brand Voesh, but these cool individual pedicure and manicure treatment kits were flying out of the warehouse by the case load this week. The must work great or maybe it is the cool packaging. Whatever it is, spas seem to love 'em... why? I have no idea... I'm just a shipping guy! See our great Voesh of New York products HERE! The Most Hygienic Pedicures Just Got Even Better! 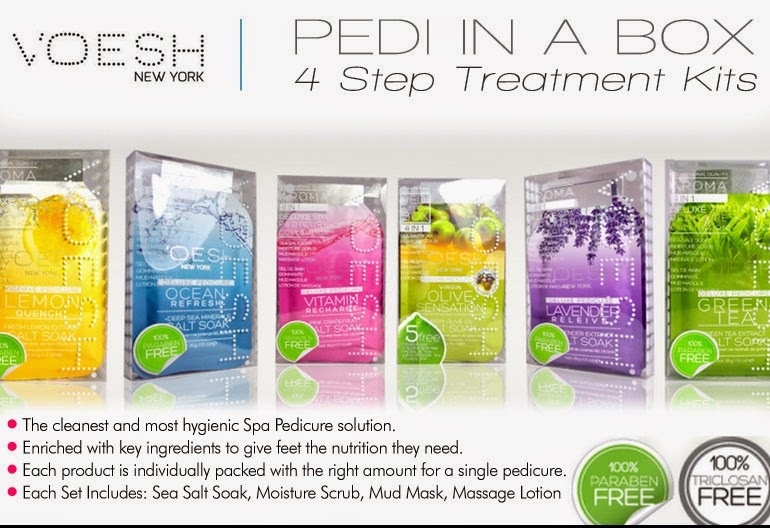 New Pedicure Packs from Voesh New York! The Most Hygienic Pedicures Just Got Even Better! The New Pedicure Packs from Voesh New York are flying off the shelves, and for good reason! With pedicure season starting, and warmer weather just around the corner (I hope! 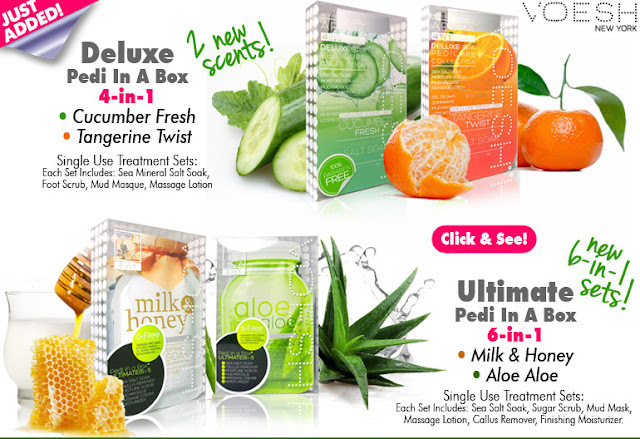 ), the hottest pedicure products just got even hotter with new additions! If you aren't already using the Voesh Pedicure Products, now is the perfect time to try them! Offer the cleanest and most hygienic Spa Pedicure! Voesh of New York makes spa pedi kits "in a box" - individual spa pedicure kits that are either 3 or 4 steps, depending on the kit. 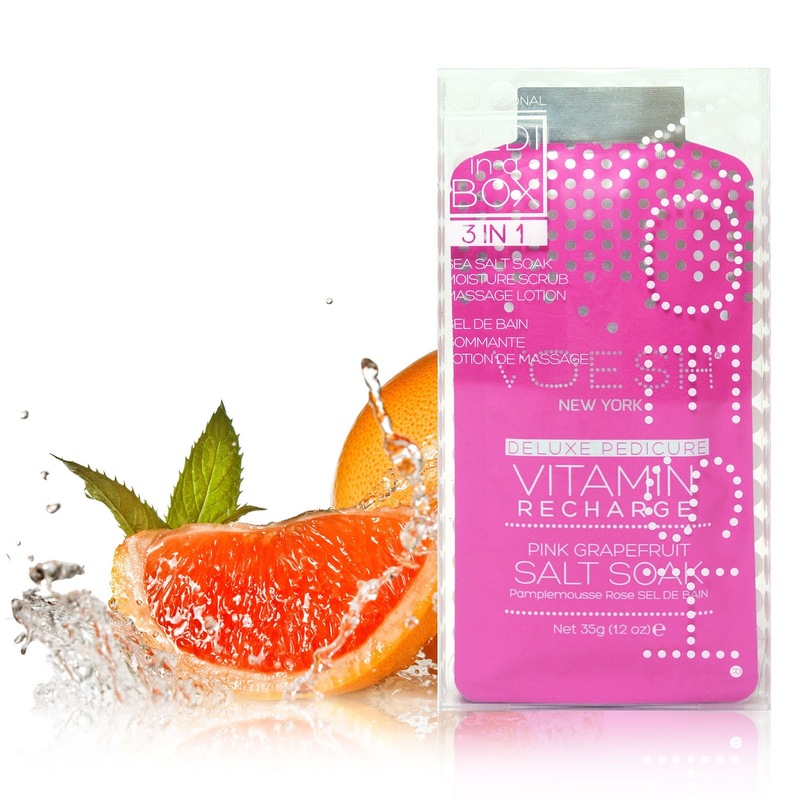 The 3-step kits do not include the sea salts. These treatment enrich the skin with key ingredients to give feet much needed nutrients. Each set is individually packed with the right amount of product for a single pedicure, ensuring a clean and hygienic spa pedicure solution. 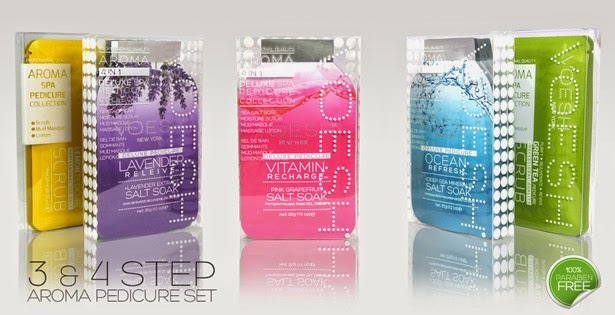 Each set includes a mud mask, foot scrub, massage lotion, and a deep sea mineral salt soak system. Kits available as individual kits or in case packs. VOESH is a new beauty brand bringing innovation and philosophy to every product. The way they look at beauty industry is changing. At VOESH, they are working every day to better meet your needs and see real beauty from your perspective. They are committed to bringing real cleanliness, freshness and delights for your extraordinary spa experience. BTW, many people ask "How do you pronounce VOESH?" It's VOE-SH, Not VO-ESH.